Today was Day #4 of Chocolate, Smoke and Fire Theme Week. Merry Christmas today to all those who celebrate! Today we continue with chocolates that have smokey and/or fiery flavors. 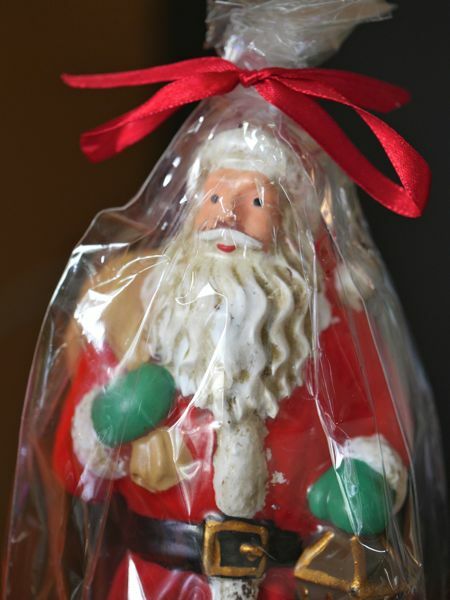 Santa must smell like a smoke-cured ham for days after visiting all those chimneys on Christmas Eve. I don't know of too many ham chocolates (honey-baked smoked ham bar anyone? 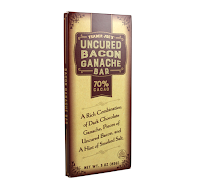 ), but bacon is a relatively popular inclusion. 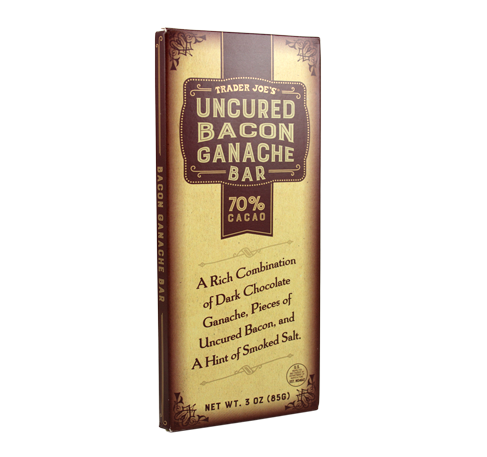 This Uncured Bacon Ganache Bar from Trader Joe's (Monrovia, CA) was filled with a chocolate, caramel and slightly smoky flavored bacon ganache. It was nicely balanced and not too sweet. I'm a sucker for alder wood smoked salt (and umami flavored foods in general), so this filled 70 percent cacao bar was an enjoyable gift this morning.